Adaptive Innovations specializes in the design, build, and verification of custom test equipment and fixtures for a broad range of requirements. 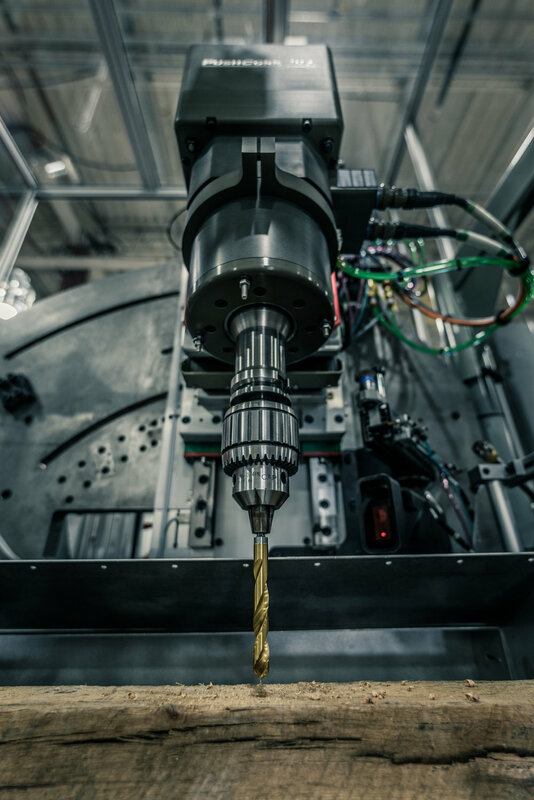 In many applications, properly designed tooling & fixtures can directly impact the effectiveness of the testing being applied. Fixturing and tooling can also have a direct influence on process efficiency, operator ergonomics, product safety, and much more. Adaptive has experience designing and building fixtures & tooling for vibration testing, burn-in and combined environment testing, functional testing, inspection and much more. Don’t leave your test success to chance. Partner with Adaptive and be confident your test program can deliver accurate results. Implementation of a capable leak testing process can be a challenging undertaking, while also being a critical measure that ensures product performance, quality and safety. Adaptive has integrated standard leak test equipment from leading industry suppliers, and has developed fully custom leak test systems for specific applications. Adaptive has frequently integrated leak testing into fully automated systems for end of line functional testing or critical quality checks. Our extensive experience makes Adaptive an industry partner you can rely on to recommend the appropriate methodologies and technologies required to achieve a successful test platform. Test & measurement requirements are evolving. More and more industries are employing comprehensive and capable test systems in an effort to rapidly improve product quality, performance, and longevity. Collection, transmission and storage of data are becoming the backbones of continuous improvement and product evolution. The lines between automation and test are becoming blurred. Finding a partner that can help you navigate the world of complex testing is becoming critical. Aligning with a partner that can also tackle your automation needs, maintains a comprehensive knowledge base of available technologies and offers extensive capabilities in software development, motion controls, and data management under one roof can be an absolute difference maker. Align with Adaptive and elevate your expectations. 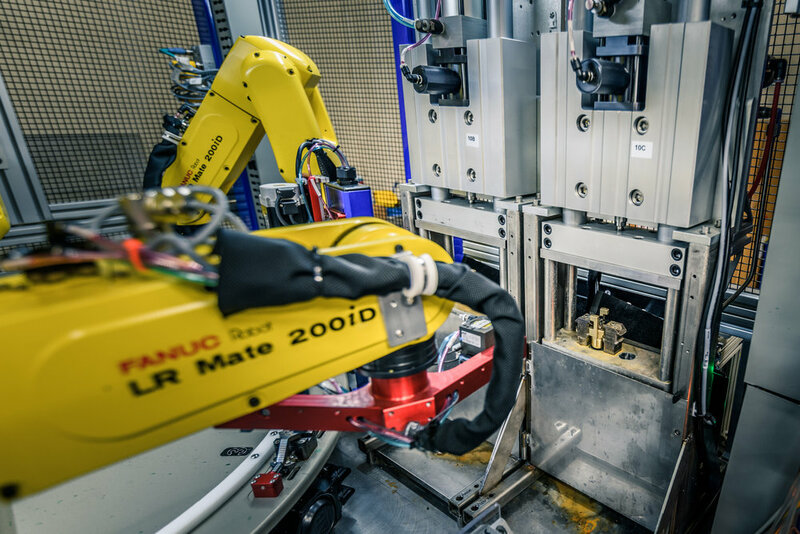 Life cycle, durability, and functional test systems often require a combination of advanced machine controls, well designed fixtures and tooling, and cutting-edge data acquisition capabilities. Adaptive Innovations is uniquely armed with deep experience in all three of these disciplines, and distinctively positioned to solve these applications. Our extensive background with test requirements and the development of custom test solutions, combined with our broad experience in industrial automation, robotics and motion control has evolved into a differentiator very few companies can emulate. This expansive knowledge and experience are just a few of the many reasons our customers rely on us to assist in the development of their test programs and equipment. Partner with Adaptive to accelerate your capabilities in testing! Integration of accelerated environmental stress screening is one of our many areas of expertise. We have years of experience designing and building fixtures for HALT, HASS, and ESS production testing. Fixtures that make testing feasible by improving throughput, optimizing stimulation, reducing downtime, and reducing capital costs. Adaptive Innovations offers development services from fixture conception through proof of screen. Adaptive has developed and offers platform fixtures that can test entire product families, with minimized changeover time. These types of solutions can help reduce the number of chambers required to support your test requirements, which also minimizes costly facilities upgrades. The flexibility offered in these solutions opens the door for customers to test more products without substantially more investment, resulting in an overall improvement in product quality. Adaptive takes environmental fixture designs another step by analyzing them with computational fluid dynamics and balancing the airflow to each UUT (unit under test). This helps to keep product excitation similar to all products in a test load, while at the same time allowing us to get more products in the chamber. This effort combined with using best practices & modal analysis to achieve optimal vibration transmissibility sets our fixtures apart from any of the competition. Contact us to find out how Adaptive Innovations can help with your HALT HASS or ESS program! Designs ranging from simple bench top HALT Fixtures and off the shelf fixture kits to modular HASS production fixtures optimized for throughput and Pre-HASS functional screens. Validation and Verification of fixture designs including: vibration and thermal response mapping and associated report documentation. Design & fabrication of custom, high temperature wire harnesses required for powering & monitoring your product during testing. We have the experience to select the connectors and components required to maximize performance and longevity in the extreme test environment. Interactive web and on-site Design Reviews ensure clear communication of design intent, requirements and final results. Design Conception through Fixture Implementation. Each Fixture Custom Designed per Specific Product Requirements. Vibration and Thermal Performance Optimization. Manufacturing and Test Procedure Development. Designed In Dependability and Reliability. Integration with Manufacturing Processes and Additional Production Tests. Pre-HASS or RMA Troubleshooting Fixtures. Cable Management Systems Design and Development. Validation and Verification of Fixture Designs including: Vibration Response, Thermal Response, and Documentation. Training and All Equipment Documentation Provided (Drawing packages optional). Adaptive Innovations has the experience and resources necessary to support any fixturing project, including those required in compressed timing. Our design approach and experience allow us to complete designs very efficiently, helping reduce project timing and improve the likelihood of success. Communicate your project restraints to Adaptive at the onset of your project, and we will do what’s possible to achieve them. When high throughput is required in HASS testing, maximizing units/test while minimizing downtime results in direct savings. Adaptive’s fixtures not only optimize chamber space, but also balance the product excitation, resulting in more efficient use of the chamber energy. Our fixtures are also designed to optimize the operator time, so load/unload of product can be performed outside of the chamber. Large product assemblies can be challenging to develop efficient fixtures for. Airflow and vibe can both be limited due to weight, geometry, and flow space. In some cases, highly engineered fixtures for large products can dramatically reduce the cost of HASS by optimizing LN2 usage and available chamber volume. The right fixture can reduce the total number of chambers required for your HASS program, and can lower the cost per test cycle. Use of properly engineered fixtures, especially for large/heavy UUT, optimizes operator ergonomics and overall plant safety. Adaptive uses computational fluid dynamics and the fan curves provided by the chamber manufacturers to develop a unique airflow plan for for each fixture. This effort is performed to achieve optimal, balanced product stimulation while improving chamber efficiency. Utilizing push, pull and combined function plenums, along with the proper material selections and air control features, a HASS fixture from Adaptive is certain to provide optimal performance. This level of planning, analysis and experience is unique to Adaptive. Minimizing changeover time between test sets results in optimal chamber utilization. Modular inserts or cartridges can be designed to allow faster loading and unloading of product into the chamber. Modular bulkhead connectors can be used to blind-mate the inserts, alleviating the need for manual electrical connectivity in the chamber. 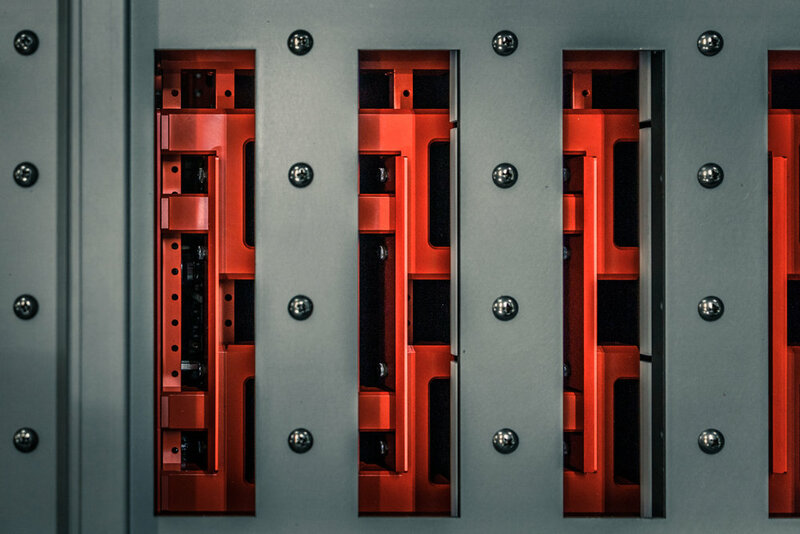 Two sets of inserts are required to realize the potential of this solution, which allows loading and unloading of product to be done while tests are underway. Not all products are constructed in a way that vibration is easily transmitted throughout the product. Oversized cards and integrated chassis are just two examples of product that don’t typically respond with standard fixturing. The result of inadequate fixturing is poor stimulation, and an ineffective screen. The Modular Arm Fixture Kit allows the mounting of an electrical card or PCB to a HALT/HASS Vibration Table. The arm, slot, and clamp geometry are designed to provide flexible mounting locations for almost any size card. Using a single 3/8-16 bolt allows for rotational flexibility, while the 5” slot allows for linear adjustments. Multiple kits can be used to mount complex card assemblies or mount multiple cards simultaneously. Constructed of 6061-T6 CNC machined Aluminum 5” slot designed for mounting with 3/8-16 fasteners (included) Flat bottom surface provides a rigid mounting base once bolted to table Clear Anodize Finish protects the assembly from corrosion. Clamp is adjustable for linear position, jaw height, and clamping force (up to 150 lbs.) Neoprene plunger provides a forgiving clamping surface to protect cards during testing Cam-Over clamp design locks cards into place and provides repeatable clamping force Neoprene plunger is perfect for most applications where temperatures do not exceed 110° C. For higher temperature requirements, an alternate plunger is recommended. Mounting Pin: ¼” standard fit pin constructed of hardened, 316 stainless steel Obtainable off-the-shelf pins can be acquired in many lengths (5/8” length standard and included) To change pins, simply push out existing pin and press in new pin Custom pins can be designed and machined to provide specific card mounting solutions Standard pin is slightly magnetic. If magnetics conflict with product operations, an aluminum, brass or composite pin is recommended. This modular fixture kit is designed to offer introductory HALT fixturing for a multitude of applications. This fixture kit provides for the mounting of most assembly level products from power supplies to servers. The extruded bars can be used to span most products under test and are machined with slots for optimal mounting flexibility. The bars are used to clamp the product to the table. Our universal circuit card grid kits can be manufactured to fit any vibration table, offering more mounting resolution than a standard table offers. We produce edge and corner clamps, and will custom tailor the kit to your exact requirements. Grid plates are CNC machined anodized aluminum with Stainless steel helical inserts. Burn-In is currently the most popular method of stress induced production testing. We specialize in high capacity burn-in solutions that are tailored to your specific constraints and requirements. Static rack fixtures, drawer fixtures and mobile carts. Adaptive Innovations can design and build any configuration required to meet your production burn-in volumes. We’ve built mobile burn-in carts, high capacity drawer style fixtures, and stationary and rack mounted solutions. Most fixtures supply power, monitor and exercise the products under test. If the product requires managed airflow to ensure uniform testing, we have the in-house capabilities to design, analyze and verify the solution. Use our proven design and development experience to take your testing to the next level. We specialize in delivering custom test cables with interconnect solutions for unique requirements and harsh environments. We design and build universal connections for equipment and fixtures, allowing them to plug and play with each other. This results in ultimate production flexibility and minimum setup. Unlimited possibilities and custom test cable configurations including: harsh environment, custom blind-mates, and floating arrangements. Signal, Power, RF, Optical, and more. Custom panels and enclosures will give your test station the finished look you’re after. At Adaptive, we design, fabricate, paint, and silk screen to your exact specifications or requirements. A finished panel ensures consistency of test and adds a user friendly touch. Full finishing capabilities including: paint, anodize, powder coat, texture, zinc, plating, silk-screening.